The food is for older dogs over 7 years and dogs with overweight tendency. 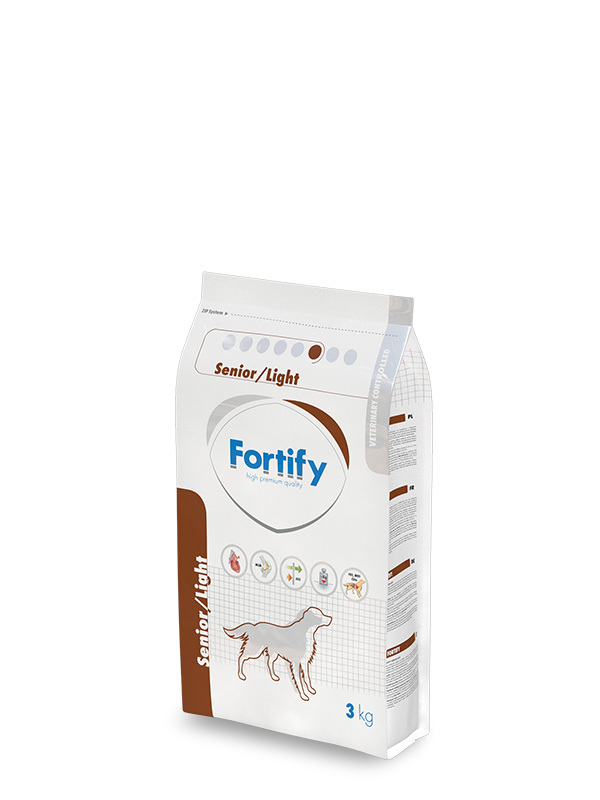 Reduced content of energy helps control the dog’s weight and thus prevent problems with locomotion organs. 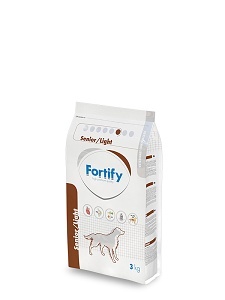 Nutritionally balanced food has been created based on the latest scientific knowledge as a full nourishment for dogs focusing on prevention of allergic diseases. rice, maize, poultry meal (18 %), poultry fat, vegetable fiber, flaxseed, chicory inuline (FOS source), hydrolyzed collagen, yeast (MOS source), coconut oil, fish oil, complementary substances, taurine, glucosamine, chondroitin-sulphate,methylsulphonylmethane (MSM), Chia seeds, L-carnitine, lysine, metionine, sodium chloride. protein 18 %, fat 8 %, crude ash 6 %, crude fiber 3,5 %, Ca 1,1 %, P 0,9 %, Na 0,3 %, glucosamine 490 mg/kg, chondroitin-sulphate 300 mg/kg, CLA 0,5 %. Vitamins: vitamin A (E672) 22 500 IU, vitamin D3 (E671) 2 250 IU, vitamin E (as alfatocopherol) 600 mg, taurine 500 mg. Trace elements: Cu in form CuSO4.5H2O (E4) 25 mg, Fe in form FeCO3 (E1) 120 mg, I in form KI (E2) 3 mg, Co in form CoSO4.7H2O (E3) 0,5 mg. Amino acids: (3.2.3.) L-lysine monohydrochloride 10,6 g, (3.1.1.) DL-methionine 4,6 g.